The Addow, Arinya, Astro, Azul, Basil, Bolimo, Crikey, Crindol, Daisy, Dakota and Decadal can now wear the Slime Costume. The old Slime Chibs has been updated to this new style. Remember, this costume can be won from the Fugunzel Tower mission. Bolimo, Crindol, Dakota, Echlin, Eyru, Fasoro, Lorius, Paffuto, Phanty, Pucu, Reese and Vlad can now wear the Strobe Costume. Remember, this costume is currently in Account Upgrades and will retire November 30th. A new Weekly Quest Contest has just started. This week's quest game is Slater Stalker. The challenge is to complete as many of these Quests this week. The top 3 players at the end of the challenge will receive a Underwater Costume, 200,000MP and a Gold Trophy, the next 6 players will receive 150,000MP and a Silver Trophy and the next 9 players will receive 100,000MP and a Bronze Trophy. The Sparkle Costume was first released in May 2009 in Account Upgrades and the costume has been retired and forgotten about ever since. We have updated the costume and a new version of the Sparkle Account Upgrade has been released, with 7 new Sparkle themed items. For a limited time only, you will receive 2 or 3 random pieces of the retired Advent Tree Instructions. There is a 1 in 3 chance you will receive 3 pieces instead of 2 pieces. This AU will retire December 7th. Remember, if you haven't completed this map already, complete the Advent Tree Instructions before the 2017 Advent Tree prizes are released this December you can claim the 2016 prizes too! There are 29 new pets that can now wear the Sparkle Costume. 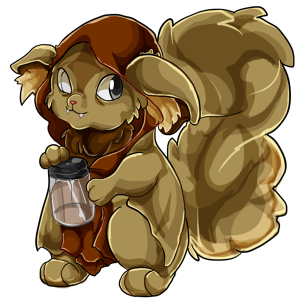 The original Crindol, Knutt, Quell and Zoosh Sparkle pets have been updated. We hope you like the changes! A new Weekly Battle Contest has just started. This week's opponent is Frostbite. You will need to have a Frostbite Trading Card in your Battle Deck. The challenge is to win as many battles against this opponent this week. The top 3 players at the end of the challenge will receive a Cracked Trading Card, 200,000MP and a Gold Trophy, the next 6 players will receive 150,000MP and a Silver Trophy and the next 9 players will receive 100,000MP and a Bronze Trophy. We have updated the artwork for some of the oldest Costumes on the site. We have also lowered the rarity of many restocking, basic coloured Costumes so that they stock more often. We hope to release many more Costumes soon that are low rarity so that the Costume shop is not always empty. A brand new Navy Costume is now restocking in the Costume shop. 32 out of 76 pets can now wear this new costume with more on the way! This costume is actually Rarity 1 and will restock a lot more often than other costumes. If you haven't already entered our Facebook and Twitter event you have until November 18th to take enter. Winners will be announced shortly after. This November we are giving out £250 Account Upgrade Credit, a Costume of your choice, 25,000,000MP and lots of other prizes for lucky winners of our new Facebook and Twitter event. 1. Like our Facebook Page and you will gain one entry. Follow us and you gain one more. If you already like us and follow usyou will automatically be entered. If you share our 'Win £250 at www.MaraPets.com' post on Facebook you will gain 2 entries. 2. Marapets is on Twitter. Follow @MarapetsTeam and you will gain one entry to this event. 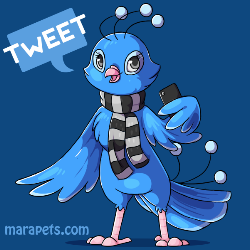 If you tweet using #marapets or your referral URL you will gain another 2 entries. If you already follow us you will automatically be entered. At the end of this event, winners will be selected at random and contact either on MaraPets or Facebook/Twitter to receive prizes. If you create fake or spam Facebook or Twitter accounts to enter they will not be counted. You can stay totally anonymous if you like and you will still be entered. I will contact you direct on FB or twitter to ask you about your Marapets info if you are a winner. The Arinya, Kidlet, Kujo, Quell, Raulf, Renat, Rusty, Viotto, Walee and Willa can now wear the Lightning Costume. The Lottery has been drawn for this week. gennie is the winner of the 565,900MP Jackpot with the winning numbers of 2, 6, 9, 24, 30 and 34. Congratulations! Last Week's Raffle has now ended. Kat_Slesher is the winner of the Red DNA and 100,000MP prize with the winning raffle ticket number 4878! Congratulations! Make sure you buy your tickets for today's raffle - only 10MP per ticket! The Game of the Week has changed to Sindi Slide. This week's Olympics Event is Hurdles. The Mission of the Week has now changed. Earn 50% more MP completing levels of Penitentiary this week. Voting has closed and a new Shop of the Week has been decided. For the next 7 days, the Ice Cream shop has a 2 for 1 sale. Every time you buy an item from this shop you will pay for one and receive two. Vote Now for next week. All pets wearing a Fat Costume will receive Double Training stats this week at the Gym and Elite Gym. Vote Now for next week. All pets wearing a Dark Fairy Costume will receive Double Education stats this week at the School and University. Vote Now for next week. Naga has just been released in Kamilah Desert. Naga is a fast moving serpent living in Kamilah Desert. Speed is everything for him. He encourages you to increase your pets speed stats. The higher your pet speed stat is, the greater he will reward them. Naga has been added to the Kamilah Desert world map and the Rewards page. Sixteen more pets can now wear the Strobe Costume. Remember, this costume is currently in Account Upgrades and will retire November 30th. The Grint and Walee can now wear the Burnt Costume. All of the older burnt pets have now been changed to the newer style. Remember, this costume is is won everytime you complete the Volcano Treasure Map. A new Weekly Quest Contest has just started. This week's quest game is Personal Trainer. The challenge is to complete as many of these Quests this week. The top 3 players at the end of the challenge will receive a Chibi Costume, 200,000MP and a Gold Trophy, the next 6 players will receive 150,000MP and a Silver Trophy and the next 9 players will receive 100,000MP and a Bronze Trophy. The Kronk can now wear the Baby, Fat, Gothic and Robot Costumes. The Breeze Kronk and Emo Kronk have also been revamped. We hope you like the changes! A new Weekly Item Contest has just started. This week's item is Diet Blueberry Marapop, you will need to send this item to the 'Challenge' account. The challenge is to send as many of this item to 'Challenge' this week. The top 3 players at the end of the challenge will receive a Broken Candycane, 200,000MP and a Gold Trophy, the next 6 players will receive 150,000MP and a Silver Trophy and the next 9 players will receive 100,000MP and a Bronze Trophy. A new Weekly Battle Contest has just started. This week's opponent is Team Maple Leaf, you will need to have a Team Maple Leaf Trading Card in your Battle Deck. The challenge is to win as many battles against this opponent this week. The top 3 players at the end of the challenge will receive a Snowman Trading Card, 200,000MP and a Gold Trophy, the next 6 players will receive 150,000MP and a Silver Trophy and the next 9 players will receive 100,000MP and a Bronze Trophy. The Traps Shop in the City Sewers has a new shopkeeper. We have also updated the old artwork of the previous 12 Trap items and added lots more items. A total of 231 items now restock in this shop! They are also all toys your pet can play with. The Lottery has been drawn for this week. puppydoge is the winner of the 577,400MP Jackpot with the winning numbers of 8, 19, 23, 29, 30 and 43. Congratulations! Last Week's Raffle has now ended. GutterxFlower is the winner of the Red DNA and 100,000MP prize with the winning raffle ticket number 876! Congratulations! Make sure you buy your tickets for today's raffle - only 10MP per ticket! The Game of the Week has changed to Newth Box. The Mission of the Week has now changed. Earn 50% more MP completing levels of Sewer Cleaner this week. Voting has closed and a new Shop of the Week has been decided. For the next 7 days, the Glowing Eggs shop has a 2 for 1 sale. Every time you buy an item from this shop you will pay for one and receive two. Vote Now for next week. All pets wearing a White Costume will receive Double Training stats this week at the Gym and Elite Gym. Vote Now for next week. All pets wearing a Bootleg Costume will receive Double Education stats this week at the School and University. Vote Now for next week. The Kronk can now wear the Beige, Defective, Invisible, Lightning, Lilac, Magenta, Rainbow, Slime, Sparkle, Strobe, Digital, Insideout, Burnt, Radioactive and Starry Costumes. The Sparkle Costume is to be revamped for all pets and released in Account Upgrades later this month. The Kronk has finally been updated to new artwork. 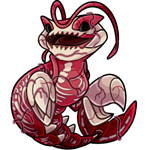 Love it or hate it, this is the last pet to be revamped. All 76 pets are now in their final versions and will have lots more colours released. The Name Purge has finished. In total 3,363,940 usernames and 4,299,037 pet names were removed and are now freely available to be created or changed at the Town Hall. To keep it fair and to stop new players from joining, creating lots of good pet names and leaving, you can now only create one pet every 24 hours. We would also like to apologise for the ocasional lag and slow loading of pages over the past few days. This was all caused by this clean up and should be fine now. The Dakota, Lati, Newth, Renat, Sindi and Xoi can now wear the Burnt Costume. Eight older burnt pets have also been updated to the newer style! Remember, this costume is is won everytime you complete the Volcano Treasure Map. A new Weekly Quest Contest has just started. This week's quest game is Snowman. The challenge is to complete as many of these Quests this week. The top 3 players at the end of the challenge will receive a Australian Costume, 200,000MP and a Gold Trophy, the next 6 players will receive 150,000MP and a Silver Trophy and the next 9 players will receive 100,000MP and a Bronze Trophy.